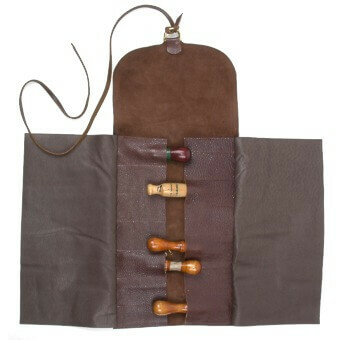 Color: Earth tones, shades and textures vary based on leather availability. 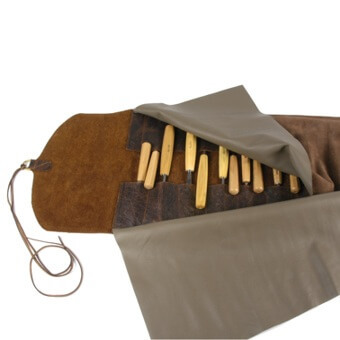 Our Small Tool Roll works well for small items such as fine chisels and bike repair tools. 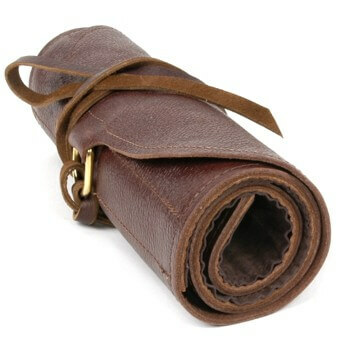 It features ten 2.25" x 3.50" pockets and two 1" wide pockets. 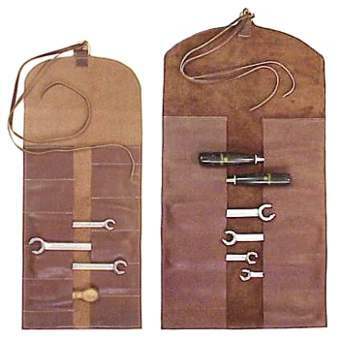 Our heavy duty leather tool rolls are designed to organize and protect your tools. They lay flat for use and roll up for storage. They are stitched with strong nylon thread and close with solid brass rings and leather thongs. 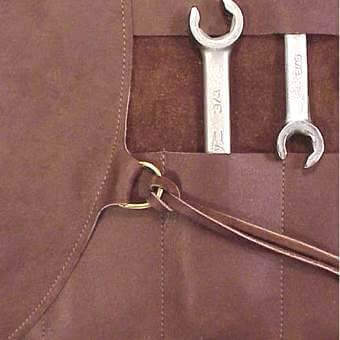 If your tools travel around with you and are subject to a lot of jostling about we recommend adding the cover flaps. 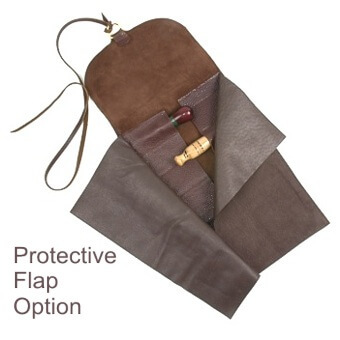 The flaps provide an extra layer of protection against them slipping around or falling out. They are available for an additional $25. Select the add cover flap option.